Live programs, webinars and conferences, with PDH opportunities will be added to this section of the site as they become available. Contact us if you're interested in listing an educational program on this page. Use the filters on this page to browse the catalog of live events. The continuing education programs provided through the PE Institute are offered as a service to NSPE members and other customers. Unless otherwise indicated in the PE Institute program offering, NSPE does not warrant or represent that any course has been approved in any or all US state or territorial jurisdictions for PDH credit. 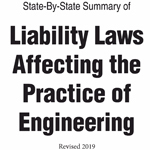 For the most accurate, up to date and complete information regarding continuing education program acceptability in specific state or territorial jurisdictions, please contact the applicable state or territorial engineering licensing board.